Paul Krugman argues that Fed's monetary inflation is the cause of economic growth and hasn't caused significant price inflation. Here's why he's wrong. 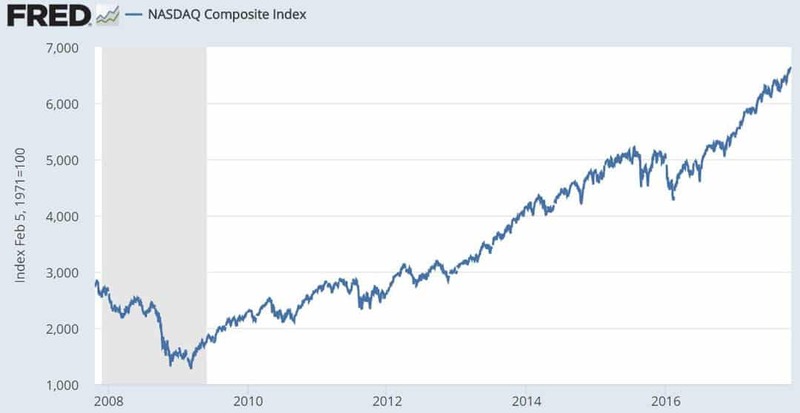 Paul Krugman thinks that since the housing bubble burst a decade ago, the Federal Reserve has managed the economy “superbly”. It is proper, in his view, that a small group of technocrats try to centrally plan the economy by manipulating the currency supply and interest rates. This view is premised on the assumption that the free market could not function, or at least not function as optimally, without this central planning. Is this correct? Are the Fed’s manipulations necessary for the economy to function and for economic growth to occur? Do we require the Fed’s intervention in the market for our standard of living to be increased? We have good reason to be skeptical of Krugman’s contention. 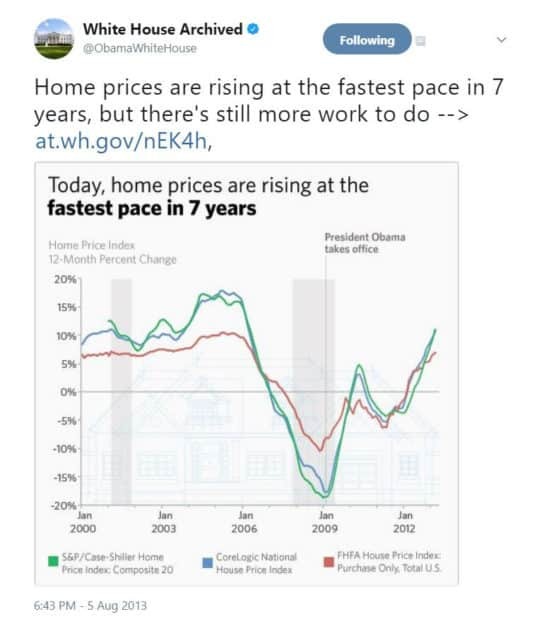 After all, this is a guy who throughout the 2000s advocated the Fed inflate the currency supply specifically in order to fuel a boom in the housing sector. So is he on to something this time? Or are are his assumptions fundamentally flawed as in the case of the housing bubble? But never fear! The “technocrats” that make up the Fed Board are above partisan politics. For more than a decade the Fed chair has been a distinguished academic economist — first Ben Bernanke, then Janet Yellen. You might wonder how such people, who have never been in the business world, who have never met a payroll, would deal with real-world economic problems; the answer, in both cases: superbly. In particular, both Bernanke and Yellen responded effectively to a once-in-three-generations economic crisis. When the financial crisis struck in 2008, it was essential that the Fed engage in aggressive monetary expansion — loosely speaking, print lots of money. There are circumstances in which that kind of action would be inflationary, but economists (like Bernanke and, well, yours truly) who had studied the subject understood that this wasn’t one of those times. Indeed, inflation stayed quiescent even as the Fed quadrupled the monetary base. And it goes more or less without saying that none of the people who kept warning that the Fed would cause terrible inflation have admitted having been wrong, or learned anything from the experience. So is there anything wrong with Krugman’s belief that the Fed has been managing the economy “superbly”? People like Krugman believe that Washington and its gaggle of Alphabet-Soup agencies regulating nearly every aspect of individual lives is the very source of social stability and economic prosperity in this country – provided there are little or no restraints on what government agents can do. As Krugman and his fellow progressives see it, we need more, not less, bureaucratic control of our lives, and especially control by people of progressive bent with “elite” academic credentials, since they are smarter than the rest of us, so they should be able to tell us what to do. Indeed, Bernanke and his minions only wisely reacted to the crisis once the free market, which created the disaster in the first place, had run its destructive course. This is a re-occurring theme in Krugman’s writings: the free market creates crisis after crisis and then the “adults” from the federal regulatory agencies must step in and repair the damage, and if Krugman could have political control, those agencies would have unlimited powers to control the economy, since the agencies consist of people who know more than everyone else. However, as Nobel Prize-winning economist Friedrich A. Hayek observed in a 1945 essay, no one individual or small group of technocrats have the totality of knowledge necessary in order to be able to efficiently direct scarce resources toward productive ends. It is the market’s pricing system that enables such efficiency, and without it, decisions about how to direct resources must be made arbitrarily. [T]here is beyond question a body of very important but unorganized knowledge which cannot possibly be called scientific in the sense of knowledge of general rules: the knowledge of the particular circumstances of time and place. It is with respect to this that practically every individual has some advantage over all others because he possesses unique information of which beneficial use might be made, but of which use can be made only if the decisions depending on it are left to him or are made with his active coöperation. We need to remember only how much we have to learn in any occupation after we have completed our theoretical training, how big a part of our working life we spend learning particular jobs, and how valuable an asset in all walks of life is knowledge of people, of local conditions, and of special circumstances. This individual knowledge is something no Fed chairperson could possess to such an extent that, by manipulating prices, they are able to more efficiently direct scarce resources. This is because market’s prices are the signal that instructs entrepreneurs and investors how to direct resources toward productive ends as determined by the will of consumers–that is, by all of us. Krugman’s economic belief system simply fails to take into account Hayek’s important observation about the role of prices and individual knowledge. Krugman thinks a small group of technocrats who are supposedly smarter than the rest of us should instead steer the economy precisely by manipulating prices. 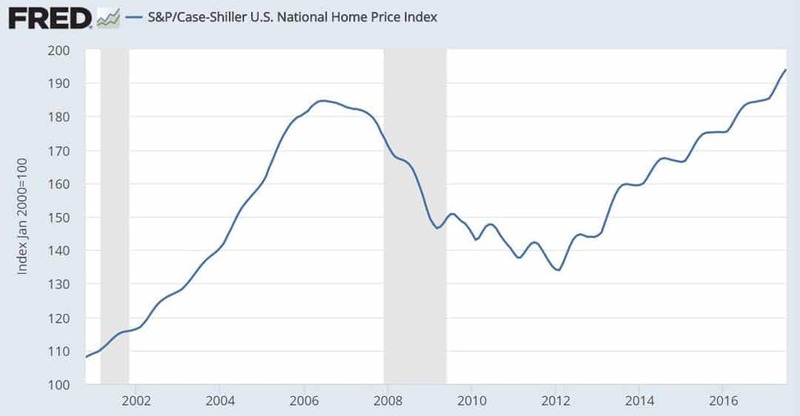 In his Mises Institute piece, Anderson also cites my own article “Denying Fed’s Role in Housing Bubble, Paul Krugman Exposes His Intellectual Dishonesty“, which illustrates the utter absurdity of Krugman’s belief system. In that article, I reviewed Krugman’s record of having advocated the Fed push down interest rates to blow up the housing bubble. And Krugman has the chutzpah to lecture others about refusing to admit they’ve been wrong and learning nothing from their mistakes! As Anderson pointed out in his article, Krugman’s recent column praising the Fed for “superbly” manipulating interest rates by inflating the currency supply assumes that the Fed, in quadrupling the monetary base, was simply stepping in to correct a problem caused by an overly free market. And it’s since been working hard at creating the next bubble. Now, Paul Krugman would have you believe that this has not caused any significant price inflation. That’s also laughable. Here, too, as with his observations about how the Fed’s low rates fueled the housing bubble, we can turn to Krugman’s own past writings for a clue. 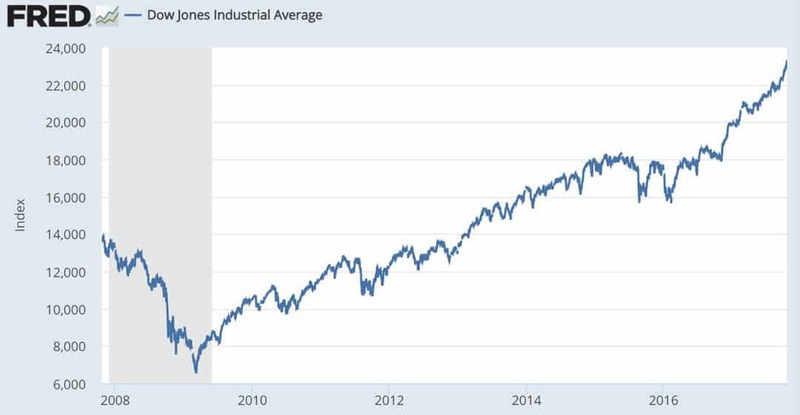 [G]enerally, richer households have disproportionately benefited from the boom in the stock market during the recovery, with the Dow Jones industrial average more than doubling in value since it bottomed out early in 2009. About half of households hold stock, directly or through vehicles like pension accounts. But the richest 10 percent of households own about 90 percent of the stock, expanding both their net worth and their incomes when they cash out or receive dividends. Do you see any inflation? Now, do you think that’s real economic growth based on solid fundamentals? Or do you think that perhaps engaging in legalized counterfeiting and making “money” out of thin air might possibly be the cause of what you see? On one hand, Krugman advocates a Fed policy of printing money while criticizing how this has resulted in a “Rich Man’s Recovery”, laying bare the extreme cognitive dissonance upon which his whole economic framework depends. Do you see any inflation? In Europe, the public has experienced negative interest rates. This bizarre phenomenon, in which lenders pay borrowers to spend their money for them, could never occur in a free market. It is only the consequence of central banks’ attempts to manipulate prices throughout the economy by affecting interest rates with their creation of massive amounts of new currency out of thin air. The Fed does this primarily by monetizing US government debt. The Fed has been holding interest rates at near zero since the financial crisis that was precipitated by the bursting of the housing bubble. 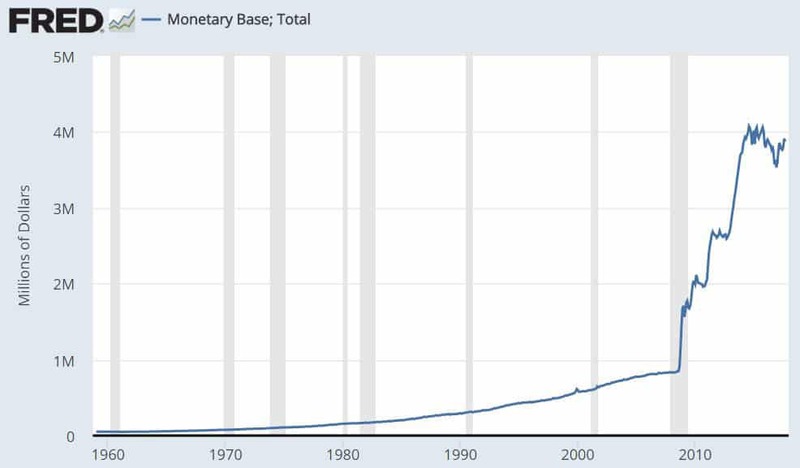 In response to this problem that it created by printing money, it printed even more money, quadrupling the base money supply. 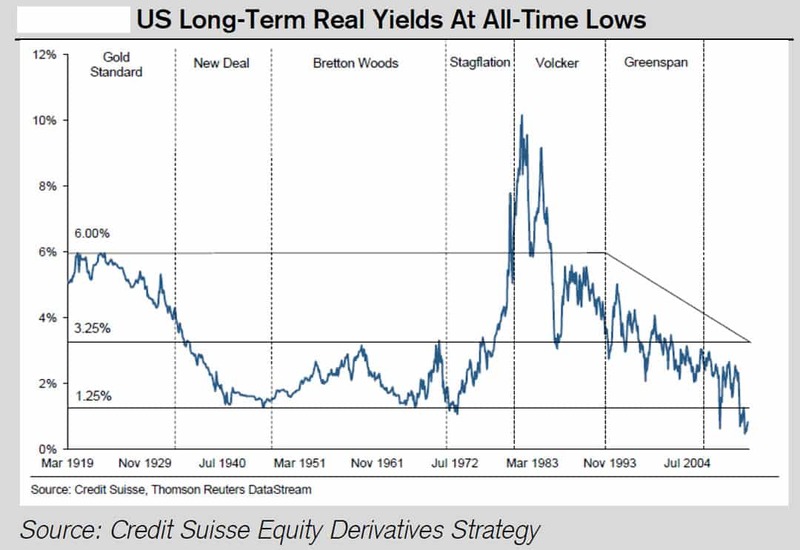 This has helped keep government borrowing costs low as it engages in massive deficit spending. The Fed is today the primary purchaser of US government debt, which creates a demand for US Treasury securities that would not otherwise exist. Furthermore, unlike private sector actors, when the Fed purchases government IOUs, it does so with dollars created out of thin air. Krugman in his recent column denies that this monetary inflation has debased the dollar. This is equivalent to arguing that the law of supply and demand does not apply to currency. It is a logical impossibility that the Fed has quadrupled the currency supply without debasing the value of the dollar. To support his illogical contention, Krugman claims there’s no significant price inflation. But he’s only looking at the Consumer Price Index (CPI). 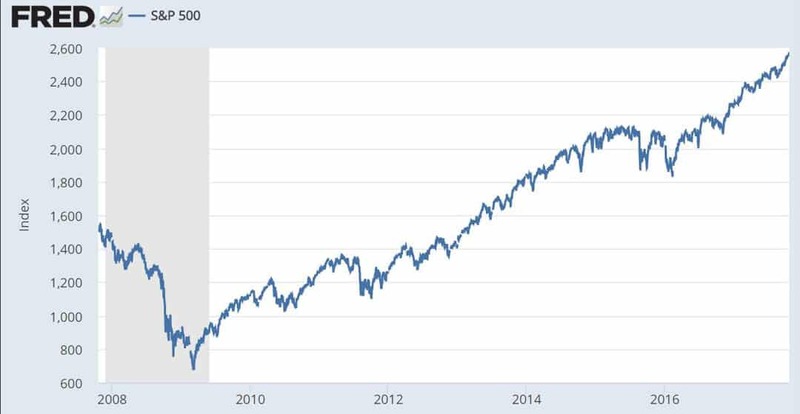 This ignores how the Fed’s newly created dollars flow into the economy, even though he touches on it himself in his “Rich Man’s Recovery” column from several years ago. The use of the CPI is a questionable method of determining the decline of purchasing power of the dollar. The Fed’s own preferred measure of inflation, for instance, excludes food and energy–which working class American consumers can hardly exclude from their household budgets. But even if we accept the CPI as an accurate measure of price increases for consumer goods, it must be kept in mind that the Fed does not create new dollars by printing up a bunch of Federal Reserve Notes and dropping them from helicopters to people on the street. Rather, the Fed’s new dollars flow first to the politically and financially elite, who are able to benefit from the monetary inflation by purchasing assets like capital goods, bonds, stocks, or real estate, before the resulting increase in the prices is seen. Hence the “Rich Man’s Recovery” so astutely observed by Paul Krugman–who has consistently advocated the very policy by which the 1 percent have so benefited at the expense of everyone else in society! Fed chair persons and board members are not omniscient. They don’t know better than the market with its pricing system how scarce resources ought to be directed in order to increase efficiency and increase our standard of living by creating economic growth. Central planning is not the solution to our economic problems. Central planning is the problem. The solution is to allow the market’s pricing system to function. Wealth does not come from a printing press.Through its inflationary monetary policy, the Federal Reserve, rather than producing a real recovery, has only prolonged the pain and set the economy up for the next, even worse crash.